Gabriel Drummer: Okay, it's me. Gabriel Drummer: You're okay. Yeah, you're okay. Okay, we're gonna get out of this place now. Come on, baby. Q: (SPOILERS) Not exactly sure whether this is the right place, but with the forum going I need a question cleared up? Cleaver and Confusing, it's a combination that makes its message loud and clear. 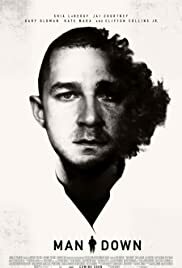 Shia Lebeaf was excellent in this film. He plays a soldier who was dealt the worse hand of worse hands and tries to deal with it. 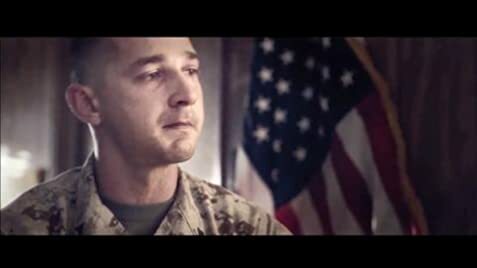 From the title, I figure I was going to see a movie about the troops, but once the movie starts, you are confused at exactly what the film is about. But then it hits you. The realization of what is actually going on. I'm indifferent about weather it was actually done well with the filmmaker not using a straight forward narrative and bouncing all over the place like he's Tarantino or something. However, it did work so well to get me into the head of this Marine, and when it hits you, you got to take a step back to absorb what's going on. It's like they are trying to visually show us what happens when a serviceman has Post Traumatic Stress Disorder, and exactly what runs around in his head. Man Down opens, confusing you than gives you a lot to take in with no way of processing, but then they give you that way and I'm just hoping it did give me some insight into the type of depression a Marine can go through, but great effort, regardless. 9 of 31 people found this review helpful. Was this review helpful to you?